A hearing aid is a big investment, so you want to make sure you are well informed before making the final purchase! Hearing loss is a very common problem, especially now that we have things such as headphones and earbuds. A hearing aid can help with a variety of different types of hearing loss, but it is a big investment. You want to make sure you are completely informed about your options before making a final decision. Here is what to consider when investing in a hearing aid. The first thing you should consider is getting a hearing evaluation done. This is important because an audiologist can tell you exactly what is causing your hearing loss and offer the best solution. Your hearing loss may simply be coming from something such as an infection or earwax build up. There are different types of hearing aids for different types of hearing loss, so you want to make sure you are getting the right one. It is a good idea to inquire about a trial period when investing in a hearing aid. You don’t want to put your money into a hearing aid just to discover that it doesn’t work properly for you. Hearing aids can take some getting used to because it is a foreign object inside of the ear. There is typically a cost for the trial period, so you want to look for a company that will credit that amount towards the final cost of the hearing aid when the trial period is over. If you have a form of hearing loss that is known to get worse as time goes on, this is something to consider when investing in a hearing aid. Some are able to be adjusted over time so that if your hearing worsens, the power of your aid can be increased as well. This will help save a lot of money in the long run that you would otherwise have to spend on an entirely new device when your hearing gets worse. Just like any other significant purchase, a warranty is very important. You want to make sure that the warranty covers both parts and labor for a given period of time. Some offices will also include professional services and visits in the warranty as well. A warranty ensures that if something goes wrong in the beginning stages, you don’t have to worry about additional costs. 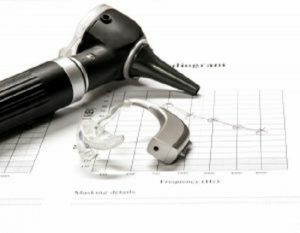 Contact Bay Area Audiology Today for Your Hearing Aid Needs! This entry was posted on Friday, October 5th, 2018 at 11:49 am. Both comments and pings are currently closed.